Photo by the sports information office. 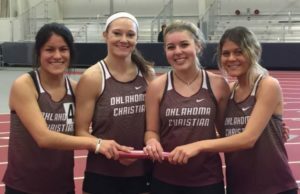 The Oklahoma Christian University track and field team has had recent individual success upon entering the spring semester, and are fine-tuning their trade as the indoor championship looms around the corner. In their most recent meet, the Central Oklahoma Invitational, the men’s team posted three top-three finishers— sophomores Andre Norman, Keenan Lee and Joseph Owens. Norman finished second out of a 60-man field with a time of 6.92 seconds in the 60-meters. Lee took third in the pole vault with a mark of 4.10 meters and Owens placed third in the triple jump with a best attempt of 13.74 meters. The Lady Eagles experienced similar success at the meet. Sophomore Lawanda Harvey finished first among a 45-woman field in the 60-meters with a time of 7.85 seconds. Sophomore Destiny Grace, who has won four career events and two consecutive Great American Conference outdoor shot put titles, added another notch to her belt, winning the event at the Central Oklahoma Invitational Saturday with a throw of 12.64 meters. Grace said the team is striving to create a winning culture within track and field. 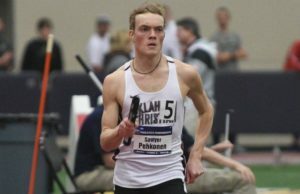 Prior to the Central Oklahoma Invitational, the men’s and women’s teams competed in the Rumble in the Jungle hosted by Pittsburg State University. The Lady Eagles finished sixth in the eight-team group, with six athletes posting top five finishes. Harvey finished second out of 28 competitors in the 60 with a time of 7.81 seconds. Junior Kelsey Castillo took fifth in the mile with a time of 5:17.99, and senior Leisa VanVooren placed fourth in the 400 in 58.50 seconds. 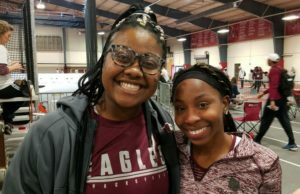 Senior Maia Zeno took fifth in the weight throw with a distance of 14.65 meters, and Grace finished fourth in the shot put, throwing 12.46 meters. 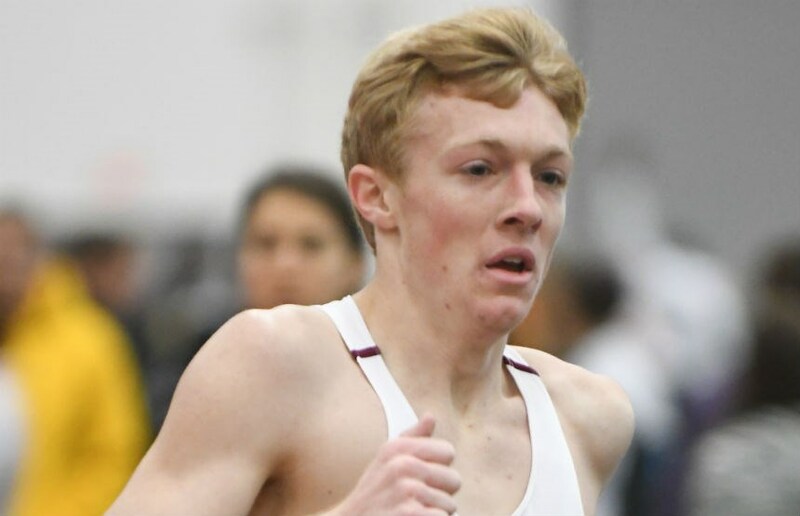 The men finished fourth out of eight teams, with a strong showing from junior Kelton Reynolds in the 3,000. Reynolds finished with a time of 8:49.58, 15 seconds faster than his personal record. Reynolds was accompanied by senior Trevor Talley, sophomore Colton Myers and sophomore Caleb Bozarth who finished fourth, seventh and eighth, respectively. Reynolds, who won the event, said he was given no option but to run quickly. Reynolds said every event, prior to the conference meet, serves as a trial run. The Eagles will compete in the Texas Tech Open in Lubbock, TX on Feb. 1, followed by the Great American Conference Indoor Championship in Norman, OK, on Feb. 22.